We love bringing you some of the most dope brands & stores around the world. 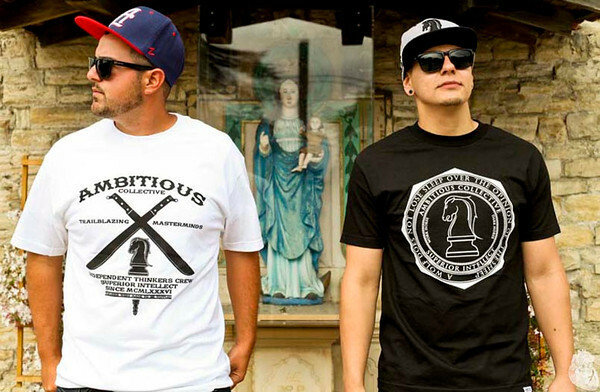 Holding things down in the fashion industry we’ve got an awesome brand from Gilroy, California by the name of Ambitious Collective. 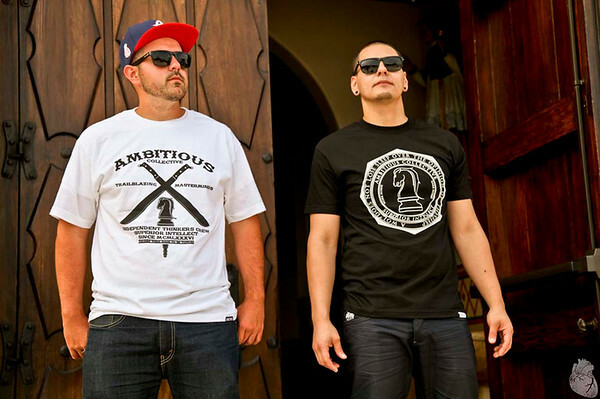 Now relax as we get to know Ambitious Collective a little more and how they started out in the industry. Also get a closer look at some of their latest products! 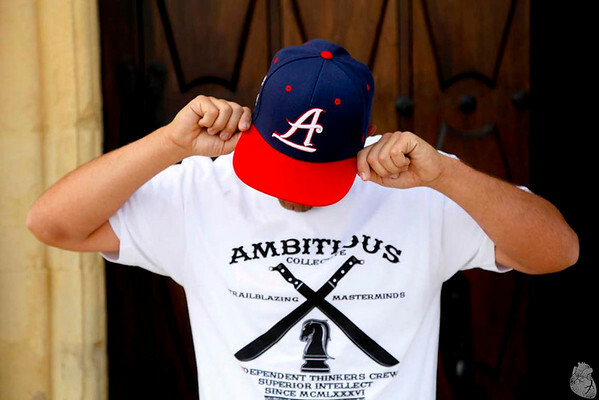 – Ambitious Collective is a new forward thinking lifestyle brand with more of an aggressive state of mind. We draw inspiration from our background, experiences, and from our surroundings. We are the offspring of disenfranchised yet defiant and fearless go getters who through good old fashioned, clean and honest hard work managed to pave the way for us. Their struggle, along with their fighting spirit were deeply embedded in us. We were taught as kids, “If someone pushes you, you push back harder!” You simply do not bow down or coward to anyone. 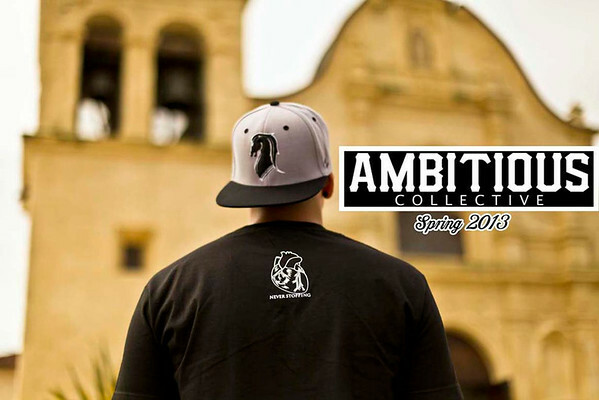 In essence that is what Ambition Collective is, a brand for all of those determined dream chasers who refuse to let anyone or any of life’s circumstances or disadvantages stand in their way. If there is no way in you find one, if someone shuts the door in your face, you go in through the window. You stop at nothing to get what you want. – The name is pretty self-explanatory, ambition is defined as a strong desire to achieve success, typically requiring hard work and determination. 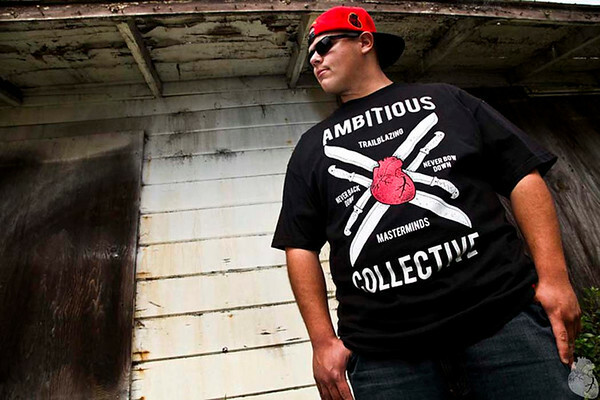 A collective is a group that is motivated by the one common interest and work together to achieve a common objective. We felt that was exactly what we all were, a motivated group of people in the pursuit of happiness, power, and greatness. – To be honest; it’s been my dream for quite some time now, I still have sketches from 7th and 8th grade of what my brand would look like. I simply had a few setbacks and detours along the way. What matters is the destination, not the road taken though. – Ambitious Collective is for all of those trailblazers who pave their own trail and take the road less traveled even if it’s the hardest one. It’s for all of those masterminds who always find a way to succeed and to make things happen. All those who make something out of nothing and who are non-complacent are who Ambitious Collective is trying to reach. – As corny as this may sound, my family and relatives are who influenced and inspired me to start my line. They are people who came from nothing. They didn’t cry and whine about their situation, they didn’t take anything from anyone; they simply got to work, paid their dues, and little by little started to reap the rewards of their hard work. Nothing was given to them; everything they have is through their own merits and thanks to their own blood, sweat, and tears. – Sometimes the message is indeed black and white, you’re either with us or against us, you’re either friend or foe, you kill or get killed. 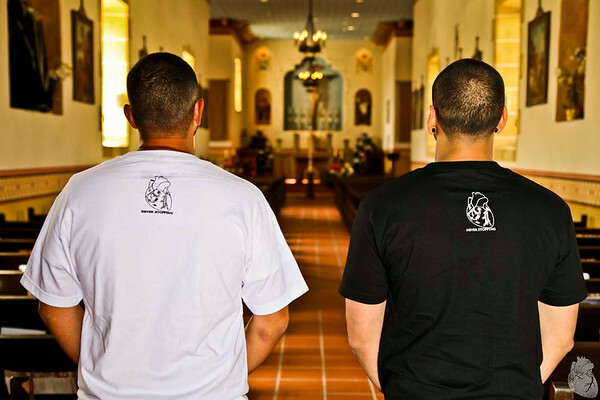 We are blunt about what we believe in and we stand firmly behind it. We aren’t trying to follow the pack. – There are always challenges with any business. So far the hardest and most frustrating part has been dealing with unprofessional manufacturers who simply don’t care to do business the right way. Some don’t care to reply to business inquiries and others refuse to do business with startups for some reason. It’s important to do business with companies who share your vision, are on the same page as you, and who pay attention to the small details. The small details always make the difference. – So far the only tools we’ve used besides the actual website are social media outlets. 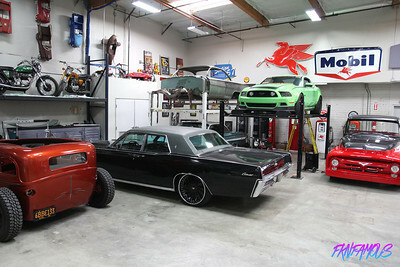 We do hope to start making it to small tradeshows, showcases, and car shows in the near future. It is really important to be at events and be able to interact with your customers in person so they can get a feel for how and who you really are. – We hope to steadily add tanks, beanies, hoodies, crew sweaters, women sizes, and accessories to the catalog. Down the line but hopefully not too long from now we’d like to venture into cut & sew. – I was actually procrastinating online while filling out job applications and I stumbled upon FKN Famous. I remember you guys had just launched, you had just two pages of entries. From that moment forward I was religiously hooked. 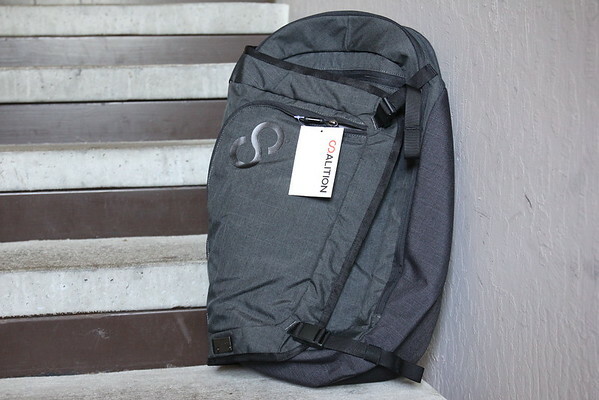 I especially loved the in depth product reviews and interviews with up and coming brands. I liked being able to see how they thought and the challenges they faced on the daily. – I’d like to thank the family and loved ones for their support. To all of those who have visited the website and who have followed us on our social media accounts THANK YOU! And to everyone out there who is helping us push the brand and spreading the word one way or another THANK YOU! Your support is humbly and genuinely appreciated. DON’T SLEEP ON US, WE’RE COMING OUT SWINGING!